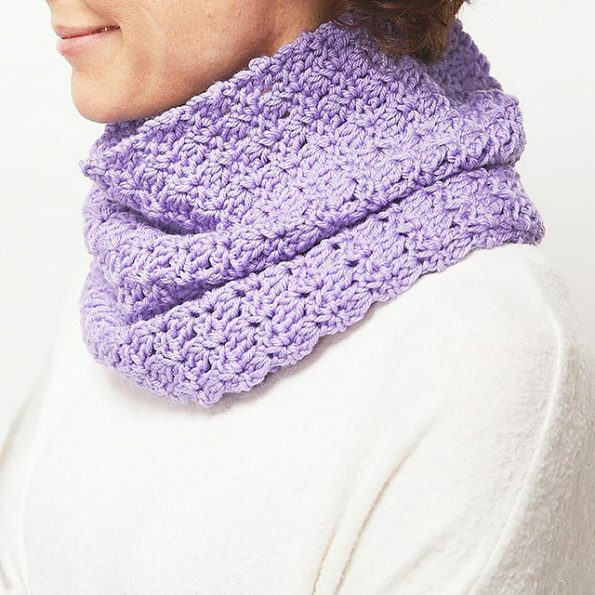 Beautiful purple scarf for winter days. It is very warm and comfortable to wear. It has an amazing texture and stitching. Download the free pattern and start crocheting. This project is worth having in your wardrobe. It is a fantastic addition to many styles. With Cascade Yarns® 220 Superwash® Merino yarn, this design has a perfect look. I highly recommend this design and encourage you to work. 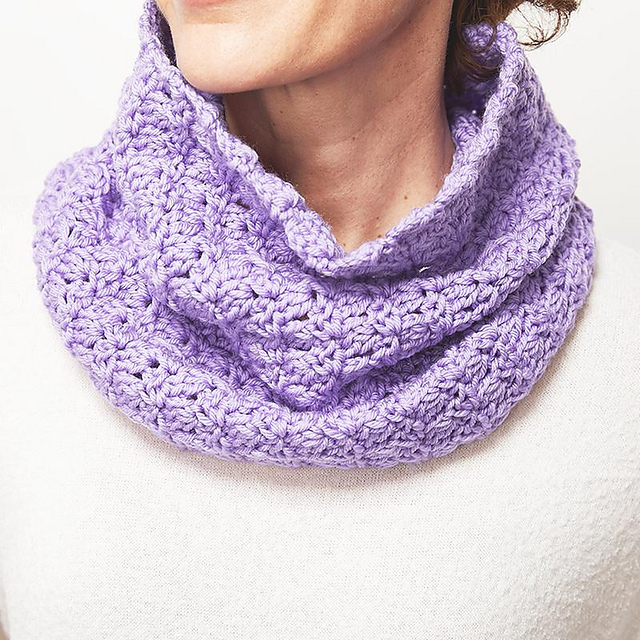 Primrose Stitch Cowl Free Crochet Pattern is here.